Burning solids, such as paper, wood, fibers, plastics & Oil, Kerosene, Petrol etc. 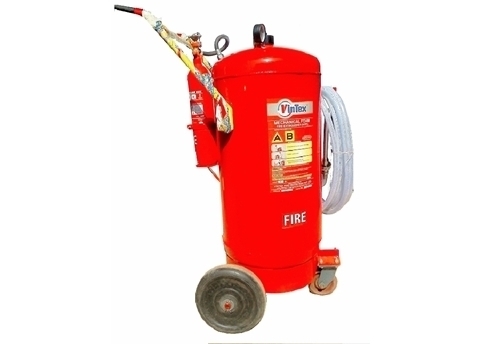 This extinguisher forms a thick layer of foam over the burning surface, effectively cutting of atmospheric supply of oxygen to the burning surface thereby smothering the fire and preventing re-ignition. Foam extinguishes fire by giving blanketing effect. Capacity 9 lits. 50 lits. 135 lits.